Early emergence is a tough competitor for Smartphone makers, known as Qwerty phones that offer BBM Messenger features. Many people who want to have a Blackberry mobile phone, in addition to BBM Chat there are also several applications that can be used on Blackberry phones and can be downloaded on App World. But Blackberry phones cannot survive because the System Operation is slow like when turning on requires a long loading. Besides that, some applications and games are boring. Blackberry appears with several phones with an elegant appearance by having 2 systems namely the Blackberry OS and Android OS. But it still doesn't work because it has a slow performance. And in the end Blackberry launched a Smartphone with the full Android OS. Faster and easier to use with diverse applications and games. Maybe because the Blackberry name is large and has many enthusiasts, it's no wonder there are still many people who use Blackberry smartphones. Besides Lenovo famous laptops are also famous for having Smartphone products. Initially named Motorola, but along with the development of smartphones, the product changed its name to Lenovo. Because the Lenovo company acquired the company's Motorola product. Lenovo continues to launch various gadgets such as Smartphones, Tablets, Smartwatches with features provided by Lenovo. Some smartphones have Dolby Surround features that are very exciting when listening to music and watching movies. 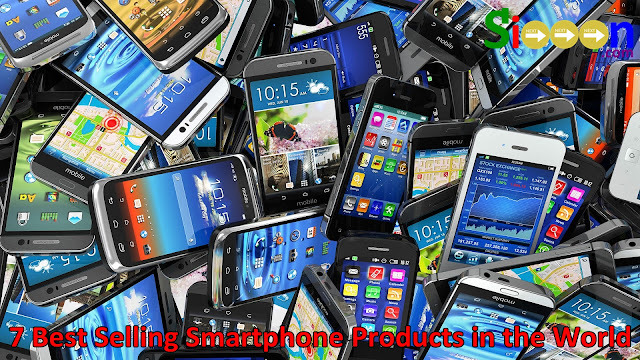 Smartphone products are very well known in the world, especially in Asia being one of the most widely used products. This brand is very popular because one of the phones that has many series and the cellphone is easy to use. But over time the existence of Nokia began to disappear because of the emergence of Android-based smartphones and iOs. Operation System Nokia known as Symbian cannot compete with Android OS and iOs. Nokia is the same as Blackberry which experienced a decline in sales. But Nokia comes with a new smartphone with quite high specifications with the OS using Android. Not unexpectedly if many people are interested, even some Nokia Android Series are selling well. Nokia is in the order of the 6 best-selling Smartphone Brands in the world according to Next Siooon (NS). In 2010 a new brand called Xiaomi emerged, this smartphone offers medium specifications that are enough for everyday use. Amazingly, the price is affordable compared to other Smartphone prices. There are many Xiaomi series that can be chosen, this smartphone is sold in Asia. With low prices, users can already play games, use social media, and so on. No wonder the Xiaomi product is one of the best-selling products in the world. Huawei is a Chinese business that has been established since 1987, Huawei already has a special place in important segments such as smartphones, computers, tablets, broadband networks, and others. Huawei is one company that has large capital, so it is not surprising if Huawei products always provide high and sophisticated features. The latest Huawei offers 4K graphics for playing games or watching movies on the Huawei Smartphone. Some of its superior products are the Honor Smartphone which has a modern design and high specifications. This smartphone is widely used by people who want to have a Smartphone with a high spec and can access quickly. Mobile phones that provide exclusive value for users, usually smartphones that use their own OS or own application platforms such as Blackberry / Nokia. However, Apple has succeeded in developing with a Smartphone that has its own OS. Through Iphone and Ipad products, the Apple company has become one of the most popular and most desirable products. Today many Apple Smartphones are made exclusive and limited edition besides the iOS OS is always updated to the latest version. In addition, Apple always offers application features that are only available on the Apple App Store and are not available on Android. So do not be surprised if there is the latest series from Apple, always awaited by many people around the world, and always runs out on the first day of launching. The first order is occupied by Samsung Smartphones, Samsung sales are always high. That shows if Samsung is widely used and is believed to be a reliable Smartphone. Samsung is not a new company because there have been cellphones before, Samsung is also famous for other products such as Smart TV. Samsung smartphones have the best quality and are easy to use in addition to the features on the Samsung Smartphone are very sophisticated such as Camera, Full View Design, Ram, unlock features, and so on. Until now, many Samsung Smartphones are recognized as one of the best smartphones in the world. But the disadvantage is the price is expensive, but Samsung issued an intermediate series that can be reached by everyone. No wonder the Samsung Smartphone is one of the best-selling smartphones in the world. That's the 7 best-selling smartphones in the world, which smartphone do you use? Thank you for visiting, hopefully it's useful.